So, why is “Love in the Air” my title of the day? Well, Naples is a romantic city but today the Shore Excursion team and myself went to see a new area we will be sending some lucky guests on the Carnival Freedom — POSITANO ). We arrived in Positano with our host Adolfo Aloschi. His family own the tour company that Carnival and her sister companies use in Naples. 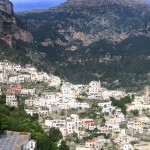 The tours they offer are simply spectacular including one of my top five picks: Sorrento, Capri and Pompeii. As soon as we arrived I began to get this strange feeling of wanting to be romantic — a feeling that I must admit to not having very often. There was something magical about this place. It just made me want to grab my wife’s hand and hug and kiss her. I was swept up in a wave of romance and indeed felt next to for my wife’s hand and squeezed it in a pure act of love. Unfortunately the wave of romance had so engulfed me that I had forgotten that Heidi my wife was back on the ship and I was actually holding the Shore Excursion Manager’s hand! My wife is a beautiful Dutch girl while Wayne is .ummmmmm…………..well…………………not beautiful…….still he didn’t seem to mind. And we skipped down the beach together. Seriously, is there any other place like Italy in the world. The best food and wine, the most romantic regions and of course the best ship’s officers, as well! 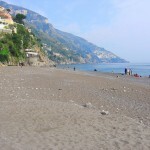 Positano is a very special place and it is another exclusive addition to the fantastic Shore Excursion program set up by Mico Cascais and his fantastic shoreside team based in Miami. 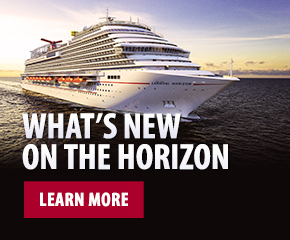 Carnival certainly has the best and most diverse excursion program in the business. 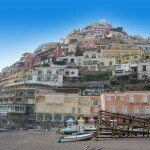 Here are some photos I took today of Positano (Click on the photos to view them in a larger format). A couple of quick replies to comments left on the site. Paul Medik – I am not sure where I will be on March 28th, as soon as I know, I will personally write to you and let you know. The fact that you are thinking of leaving another line to come and sail with me is humbling and I will do everything I can to make sure I am onboard with you mate.Big Ed – How are you? I remember the big screen family shot and let’s do something similar next mat. 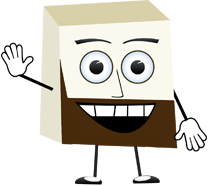 Hope you and the family are well.MMRAMSAY – A big hello to you and please make sure you see me when you cruise. I promise you the best time ever.ROBBIE4987 – I will make sure their 51st anniversary is very special. Please get in touch with me when you board. Dyante – Not long now. See you on the 26th of March. Off to the Welcome Aboard Show now………until tomorrow………………………..be romantic and hold another man’s hand.